We have provided the following links that provide some great information on a variety of topics related to veterinary medicine and pet health care. We will update this page frequently, and would love to hear your ideas on links that you would like to see us add to this page to share with other pet owners. Feel free to send us your favorites. If we like them, we will add them to our list! Aphis.usda.gov -- Traveling with your pet? Check this site first and print checklist! Justin Rudd – Get to know Justin Rudd and all of his non-profit work. Long Beach Animal Care Services – This website gives you all the information you will need to register/license your pet in the city on Long Beach, Ca. It also provides information regarding animal related laws and regulations. 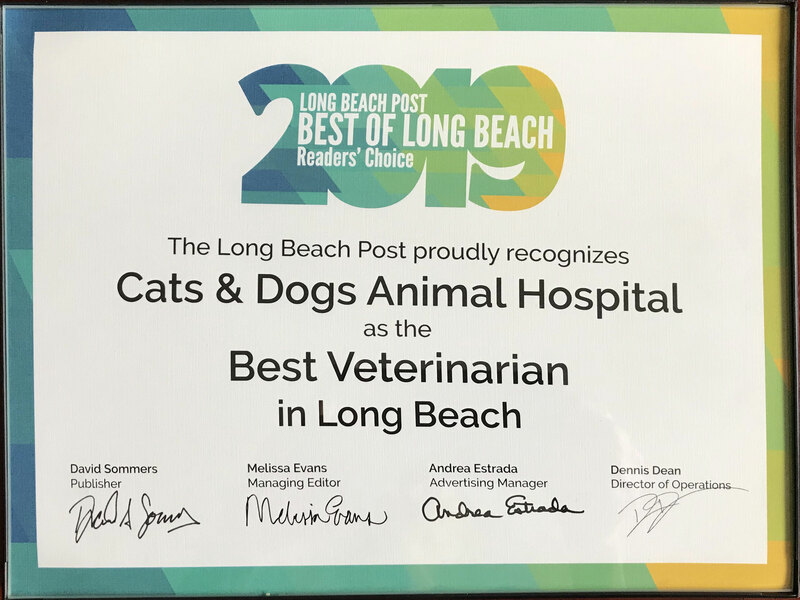 Long Beach Animal Emergency – For all of your pet’s emergency and after-hours needs, we recommend the Long Beach Animal Emergency. Morris Animal Foundation – Improves the health and well-being of companion animals and wildlife by funding humane health studies and disseminating information about these studies. Vetsource – Our online pharmacy has a wide selection of prescription and over the counter medications and pet food. Ease of ordering in the hospital or online. VIN – The Veterinary Information Network is the oldest and largest online medical information service devoted to veterinary medicine. Pet Sit Pros – The Pet Sitting & Dog Walking Professionals. “Your trusted source for reliable in home pet sitters and dog walkers. Wags to Whiskers – Specializing in canine grooming.